The Solution One project at PHI brings together a 3 year short-term team of diverse professionals working in an intense cooperative environment. The center point is its Cyber Café: a collection of conferencing spaces with a lounge core designed specifically for the team’s formal and informal collaborative needs. Functional features include large writing surfaces and video-conferencing capabilities in every room, providing multiple spaces for groups from 4 -20. Solutions were designed to be cost effective and for transition to use by other department’s at the project’s conclusion. To improve customer service, PHI embarked on a three-year project to develop and implement a combined CRM(Customer Relationship Management) and billing software system. The technical project requires collaboration and consolidation among PHI’s three subsidiary utility companies, and with teams of external IT consultants and vendors from around the globe. 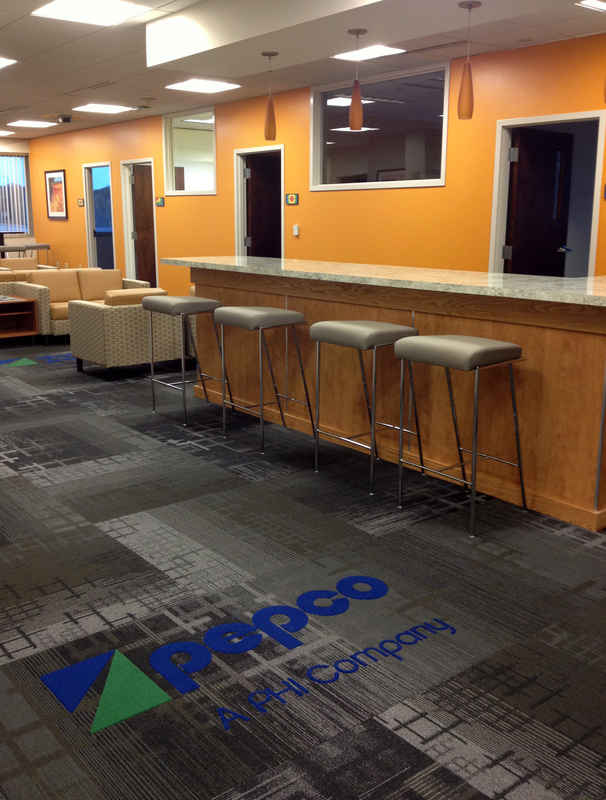 Contract Environments, Inc., was engaged to provide comprehensive interior design for the conversion of a former energy-trading floor at PHI’s Energy & Technology Center into an open-plan. They used computer renderings as an active tool in the design dialogue, giving end users less familiar with the design process an ability to visualize final spaces. Renderings were used as a learning and exploratory part of the process, to help select materials and colors, and to understand spatial flow. Google Sketchup was used extensively. The Offices and Cyber Cafe of PHI, CIS group is pleased to occupy their new office which is based on a state of the art contemporary design current with today’s trends. Teaming spaces abound in this bright and fresh space. Conference rooms and Huddle spaces incorporate innovative products such as Idea Paint, a whiteboard paint, for “no limits” of ideas on the walls, varieties of types of spaces both conventional and non conventional conference areas. 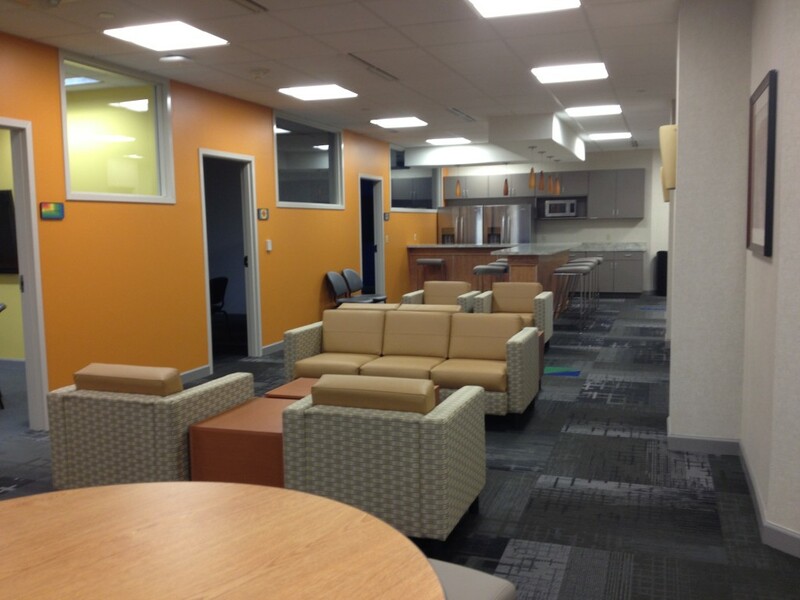 High top bar provides a Coffee Bar environment to stimulate impromptu meetings.